In Hyderabad, The post – Independence DGPs/IGPs Conference in this year was inaugurated by the Union Home Minister Shri Rajnath Singh. The Conference would discussion on various security related issues confronting the nation, and to come out with ways and means to tackle them. 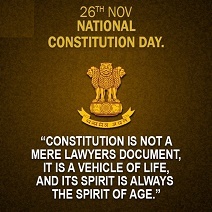 To spread the importance of the constitution and thoughts and ideas of Dr. Bhimrao Ramji Ambedkar, Samvidhan Divas (The Constitution Day) in India is celebrated on 26th of November every year. The Constituent Assembly of India adopted the Constitution of India on this day in 1949, which went into effect on 26 January 1950. To honour Dr.B.R. Ambedkar who is known as the Father of Constitution of India, The Government of India declared 26 November as Constitution Day. Constitution Day will also promote to protect and improve the natural environment including lakes, forests, rivers and wild life and to have compassion for living creatures. To mark the birth anniversary of the Father of the White Revolution Dr Verghese Kurien, the National Milk day has been observed on 26th November across the India. National Milk Day was first started by Indian Dairy Association (IDA) in 2014 on the lines of World Milk Day that is observed on 1st June every year under the aegis of UN Food and Agriculture Organization (FAO). Dr. Verghese Kurien is also known as the Milkman of India and the Architect of “Operation Flood”, which is World’s largest agricultural dairy development programme. This programme was helped the India as the world’s largest milk producer. He is the one help to establish the AMUL cooperative. The Ministry of Civil Aviation launched the Airsewa portal to offer a convenient free air travel experience to the public. Users will have an option to check the flight status and schedule between any of airports. Flights can be searched based on flight number or for all flights to airport. Airport Information will display basic weather information and connecting flight details from the airport. Airport information will include basic details and contact information regarding airport services like wheel Chair, transport/parking, rest and relax, Wifi services etc. Subscribe our Newsletter to get Daily TNPSC Current Affairs November in English and Tamil on your Inbox. Read TNPSC Current Affairs November in English and Tamil. Download daily TNPSC Current Affairs November in English for TNPSC and Monthly compilation of TNPSC Current Affairs November in English as PDF. 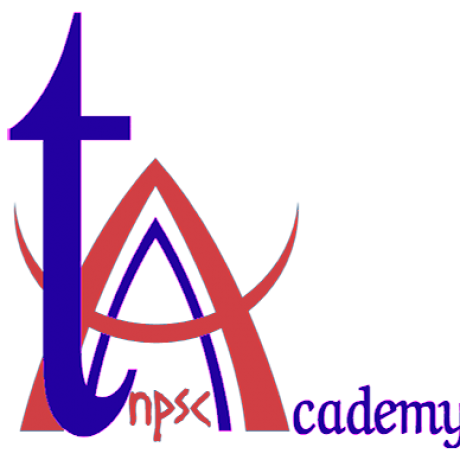 1 responses on "TNPSC Current Affairs November 26, 2016"